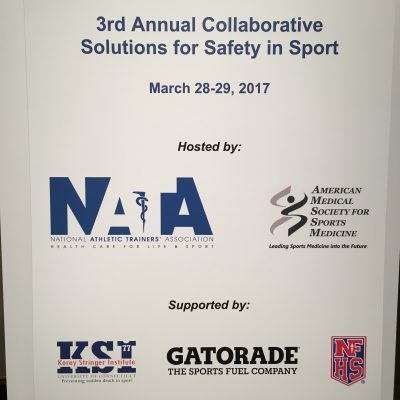 Last week, Dr. Casa and I were fortunate to attend the 2018 Collaborative Solutions for Safety in Sport (CSSS) meeting for the state of Florida. 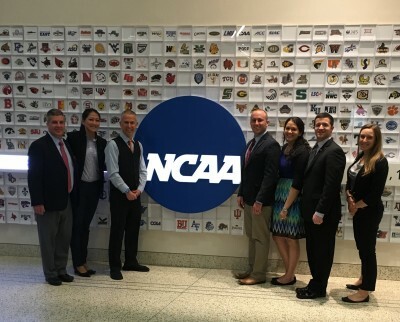 Stemming from the national CSSS meeting, the goal for this meeting was to implement the best practice policies at a state level for high school athletes. 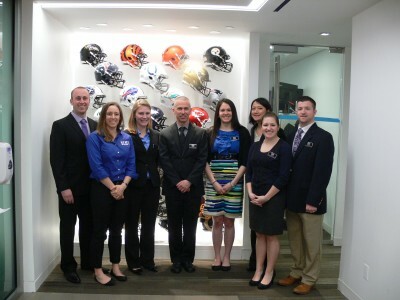 This same meeting occurred in 2017, and while the program was educational and facilitated some changes, the ultimate goal of the current meeting was to bring well thought-out policies to the sports medicine advisory committee and board of directors to pass. 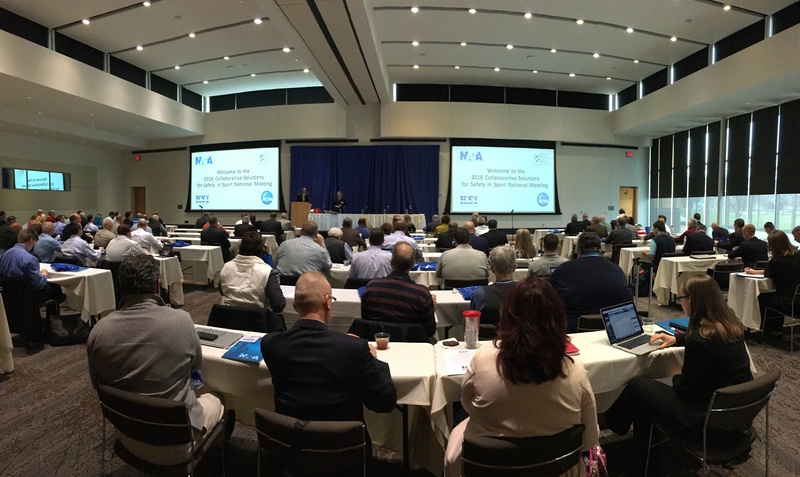 While this program was meant educational, it was not meant to be continuing education; rather a workshop with the goal to create and fully vet the wording of policy to be implemented by the Florida High School Athletics Association. The program, designed and facilitated by Bob Sefcik, ATC, included dinner and a keynote address from Dr. Casa on Monday evening. Dr. Casa’s presentation provided context to the reasoning behind and the methodology utilized for the creation of the policy rubric and the rankings. Starting bright and early on Tuesday, the meeting was kicked off by Dr. George Canizares and Dr. Casa who discussed the current policies and stated that the current meeting was held based on the foundation that was laid in the 2017 meeting. They also noted that the goal of this meeting was to leave with written policy language. Following the morning speakers, we heard from two families whose children suffered catastrophic injuries while playing high school sports in Florida. Courtney Sapp’s son, Payton, suffered a catastrophic head injury while participating in a junior varsity football. She described the pain and long-term consequences that not only Payton, but her entire family has ensued since his injury. Lori and Ed Giordano’s son, Zach Martin, suffered a fatal exertional heat stroke during a football practice in the summer of 2016. Unfortunately, in both cases, there was no athletic trainer present to care for the safety of the student athletes. Further, the families advocated for increased education of sport related injuries such as concussion, exertional heat stroke, and cardiac arrest. They charged the members in attendance to remember their stories and to do everything in their power to make sports safer. 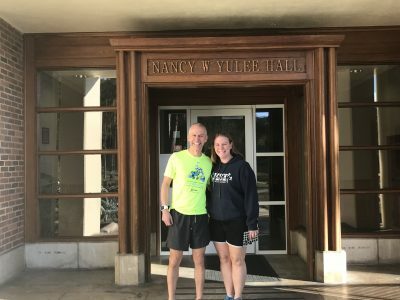 For the purpose of this meeting, there were five specific areas to focus on creating policies for – cold-water immersion, environmental monitoring, concussion, coach education, and minimal expectations for high schools. Each topic area had its own break-out group with a variety of stakeholders (athletic trainers, physicians, administrators, coaches, and parents) represented in each meeting. Prior to the start of the meeting, a white paper document corresponding to the group you were assigned were disseminated, and thus a majority of the discussion surrounded the material provided on this white paper. I was fortunate to facilitate the Environmental Monitoring group with Dr. Seth Smith. 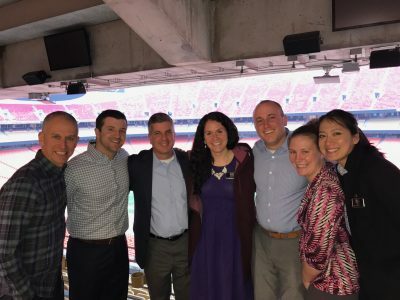 Having tangible, realistic goals of creating specific wording for policies from the breakout sessions allowed for a focused message and resulting actionable items for the sports medicine advisory committee (SMAC) to discuss at their meeting that night. I was honored to be invited to the SMAC meeting that evening to provide additional insight and expertise, if needed. 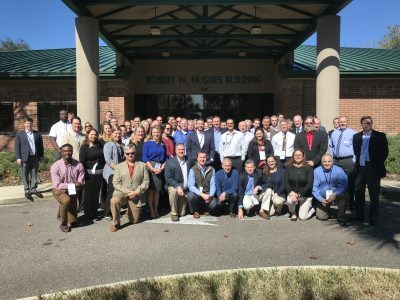 The members of the FHSAA SMAC are a very professional, determined and organized with the common goal of wanting to improve the health and safety standards for student athletes. I was very grateful for the invitation, and thoroughly enjoyed listening to the discussions that occurred. To conclude, it was remarkable to see the amount that can be accomplished when key stakeholders within a state, with a common goal, collaborate to improve the current standards. It is truly a team effort and the comradery between the members in attendance was aspiring to be a part of. The policy ranking project was meant to be a project to help states identify areas of strengths and areas of improvement. 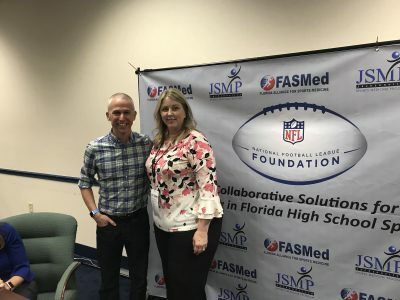 We are excited to see states such as Florida take the findings of the project and use it as ignition to help improve the safety for our athletes. We fully believe that through policy change at the state level, and thus influencing the local implementation, that we can significantly reduce the amount of catastrophic injuries. I would like to reiterate our deepest gratitude to Bob Sefcick for his generosity, helpfulness and invitation for Dr. Casa and I to participate in this event. We would also like to thank George Tomyn and the FHSAA for hosting the meeting. 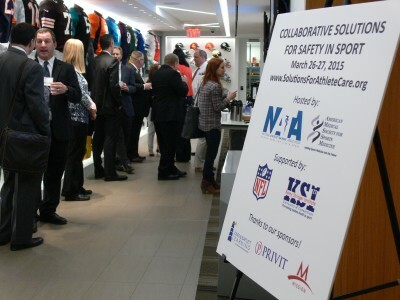 National Athletic Trainers’ Association (NATA) President, Scott Sailor, kicked off the 2nd Collaborative Solutions for Safety in Sport (CSSS) Meeting with a powerful statement. 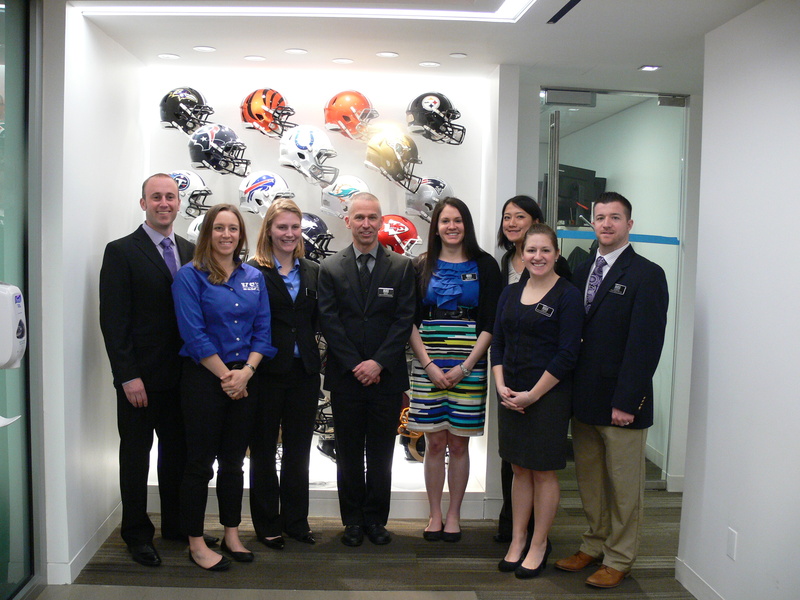 “Nearly all deaths and serious injuries can be avoided when proper steps are taken.” A continuation of last year’s inaugural meeting in New York City, the NATA and American Medical Society for Sports Medicine (AMSSM), with assistance from the Korey Stringer Institute, brought together each state’s High School Athletic Association Executive Director and Sports Medicine Advisory Committee Chair for the second year in a row to discuss proactive policy changes and states’ progress on various health and safety initiatives at the secondary school level. 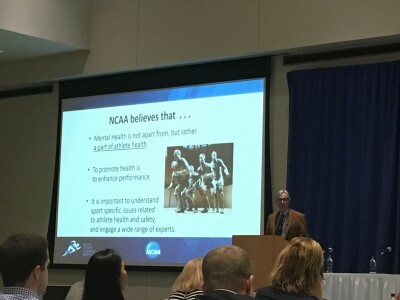 On March 22, 2016, Dr. Brian Hainline, Chief Medical Officer of the NCAA, opened the meeting with the keynote address, speaking on the challenges of change. A session followed titled, “Where are we now?” facilitated by Douglas Casa, Robert Huggins, Larry Cooper and Thomas Dompier. 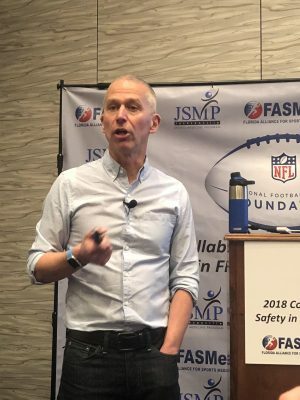 This session focused on progress made in policy change, athletic training coverage across the nation, proper injury prevention strategies specific to Heads-Up Football, and an overview of data from the Datalys Center for Sports Injury Research and Prevention. The meeting portion of day one concluded with small group breakout sessions, quite valuable for those in attendance, as they spoke candidly with one another about successes and barriers pertaining to sport safety policy implementation. Day two began with a keynote address from Martha Lopez-Anderson, Chair of the Board of Directors for Parent Heart Watch. Turning tragedy into triumph, Martha shared her heartbreaking personal story that led to her involvement in this organization, and advocated for the implementation of prevention strategies for sudden cardiac arrest in the youth population, including placing AED’s in all locations, cardiac screening, and getting appropriate personnel trained in CPR/AED use. Following her keynote, a session dedicated to mental health issues in student-athletes ensued. Although not directly in the spotlight, mental health is a true problem. 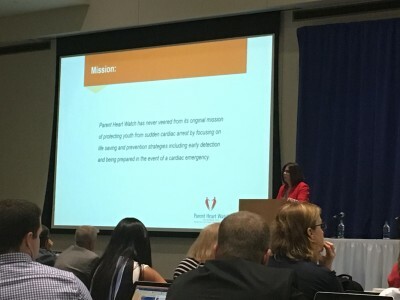 Dr. Brian Hainline stressed the importance of having an emergency action plan in place for mental health issues, similar to the ones implemented to manage various incidents such as cervical spine or head injuries. Alongside Dr. Hainline, John Reynolds, Dr. Cindy Chang, and Dr. Francis O’Connor also facilitated this session. From sharing success stories on the promotion of mental wellness in a school district, to discussions on the prevalence and consequences of disordered eating and performance-enhancing drug use, attendees were informed of proper strategies to take in limiting and managing mental health issues in student-athletes. Taking a different approach this year, attendees were allowed to choose from three different breakout sessions, providing opportunities to promote discussion in small groups about personal experiences, struggles, and successes with cardiac and heat policy implementation, and employing athletic trainers in secondary schools. This created an environment of close collaboration, with states getting feedback for themselves while simultaneously helping each other. NATA President, Scott Sailor, said it best. “With your [attendees] collaborative support we will make a difference. We will save lives, reduce injuries, and create a playing environment that ensures health and safety first.” It was another incredibly successful CSSS Meeting, and we anticipate the next to result in even greater strides towards improving sport safety in the secondary school setting.